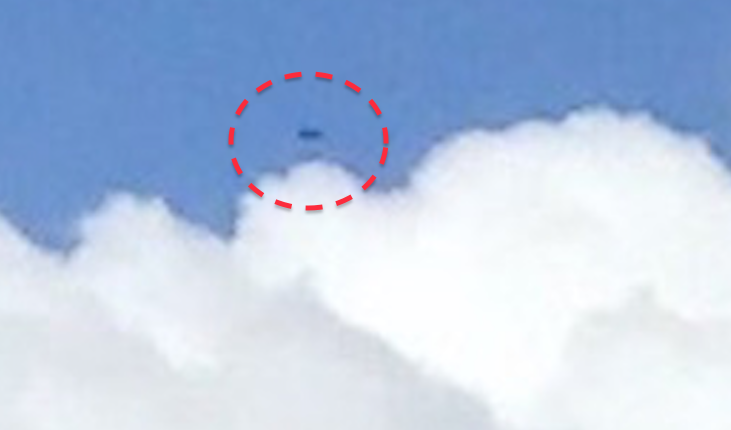 UFO SIGHTINGS DAILY: Guy Playing Golf Catches Two UFOs Over Area, Nov 2015, Photos, UFO Sighting News. Guy Playing Golf Catches Two UFOs Over Area, Nov 2015, Photos, UFO Sighting News. 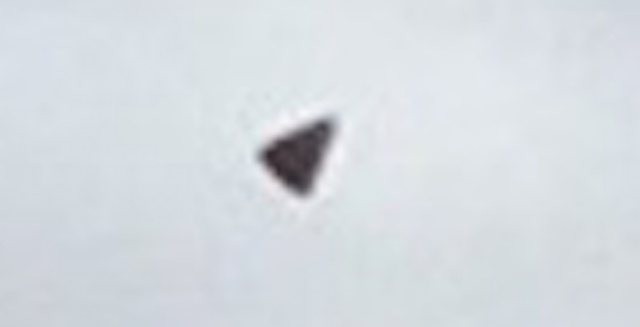 We were made aware of this triangle UFO thanks to UFOvni2012 of Youtube. 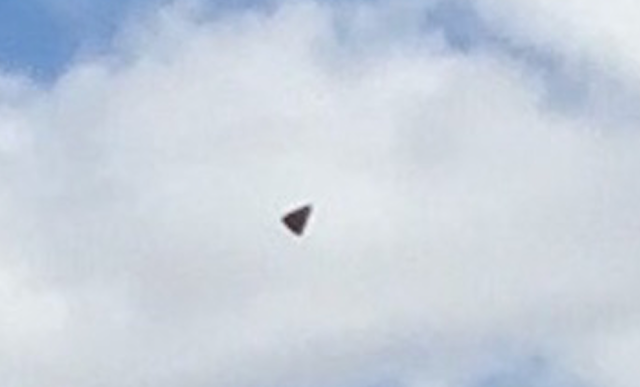 The triangle UFO is not the only one in the photo. I enlarged it and found another black UFO over the clouds on the far left of the photo. This is why the F-18s are in the area. Two UFOs showed up on radar and they were sent out to check. 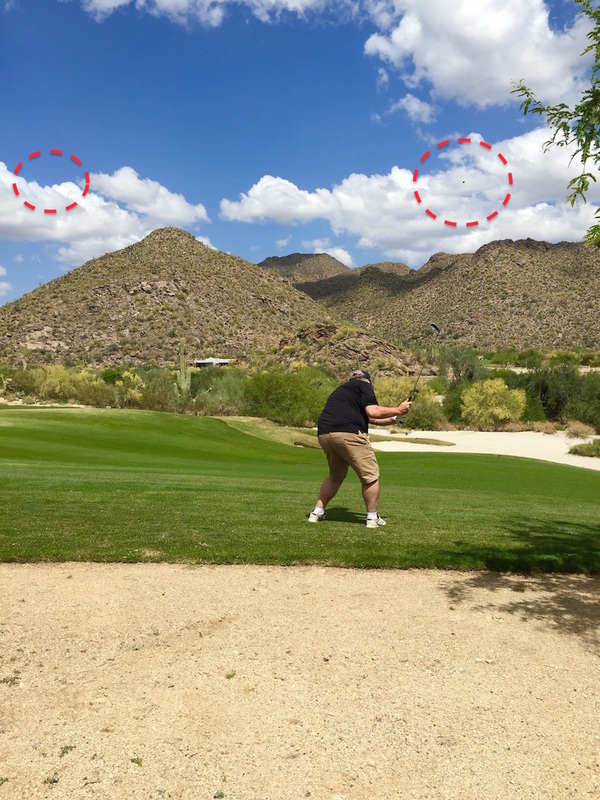 On vacation (Tucson AZ) playing golf, watched and heard F18's flying around courses a lot that day, took picture of friend and saw craft in photo it made no sound unlike F18's, it was so far off I didn't think it was a craft, (maybe a bird) plus made no sound so I went back to playing golf. Later that evening was looking at image with friend and we decided it had to be a craft of some kind. I worked for General Dynamics for few years and watched a lot of military aircraft flying and this looked nothing like any I have observed. 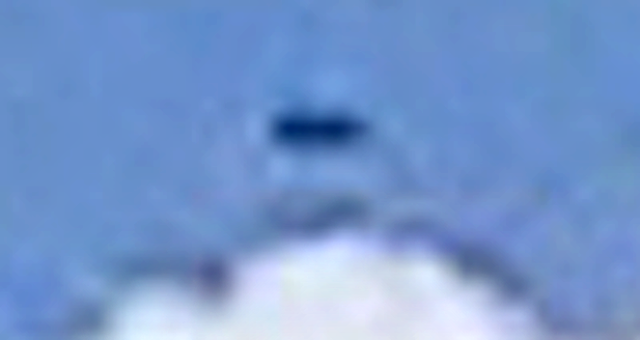 It appeared to be ascending in a straight line at about a 20 degree angle.